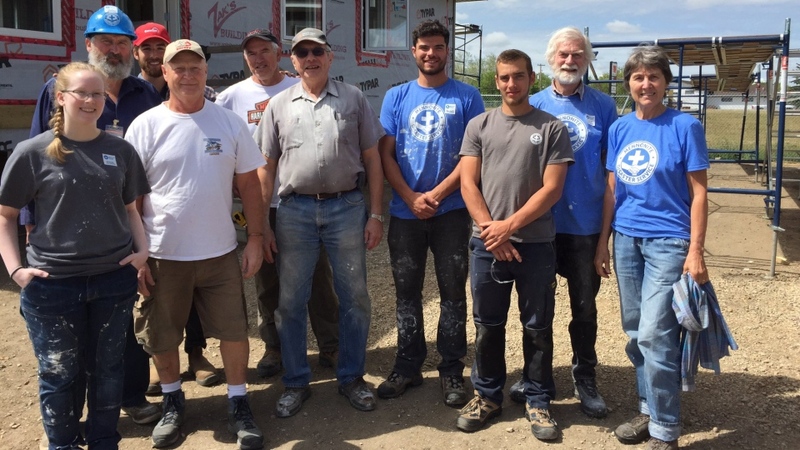 A group of volunteers in Hague, Sask., are working hard to build new homes for families who lost them during last year’s Fort McMurray wildfires. The Mennonite Disaster Service joined hands with Zak’s Building Group in Hague back in January. Together, the group began building houses in May and has since built three homes for Fort McMurray residents. What started with just a few volunteers has now seen several people from the local community and even across Canada help out. Jordan Chanin came all the way from the Lower Mainland in British Columbia. “Out here it’s almost like every job that you do, you know that someone who doesn’t have a house right now is getting to experience and receive this new house and it just makes you want to do a better job,” Chanin said. Zak’s Building Group supplies the materials to build the homes. Wyatt Zacharias is a partner with the group and says his company will eventually transport each home to Fort McMurray. Volunteers hope to have three homes finished and transported to Fort McMurray by the end of July.